I know you guys like burgers, but do you LOVE burgers? 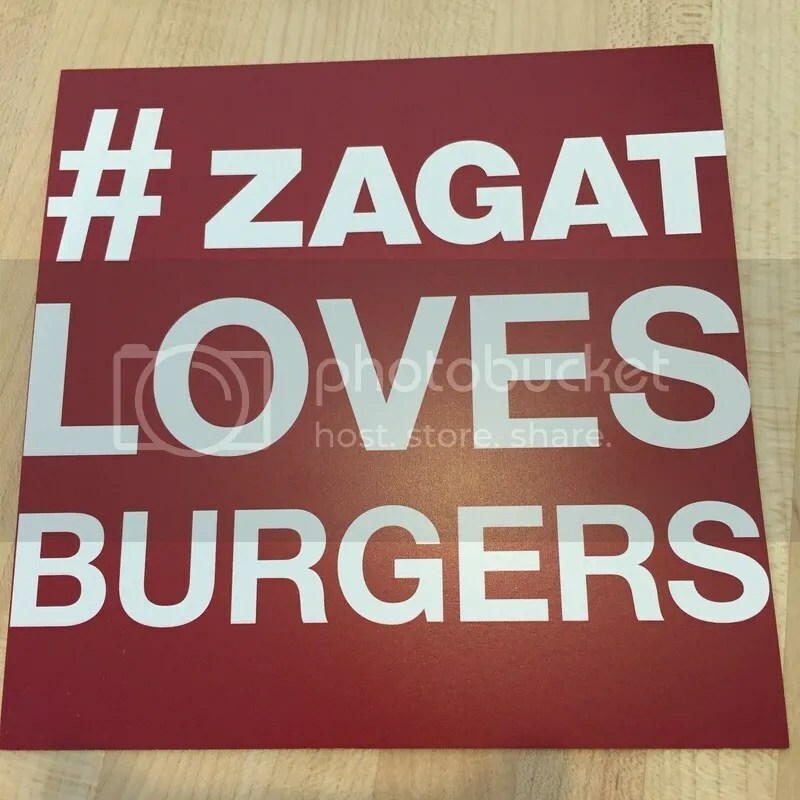 Well, Zagat does and to show that love, last week they partnered with restaurants all over the U.S. to create special burgers in honor of #ZagatLovesBurgers week. Representing Philadelphia was two-time Burger Brawl Champion, The Blue Duck, with their “Beast of the Northeast (Philly)” burger: a wild boar and beef patty, topped with smoked Gouda, sweet tomato jam, duck bacon, and crispy Sriracha onions on a brioche bun. Since the meat was a boar/beef blend, I didn’t expect to be asked how I wanted it cooked, but it came out on the medium-medium well side; the patty pocketed with pink spots where the beef blend was located. The tomato jam gave the burger a nice sweetness to counteract the smokey gouda. The bacon was nice and crispy. But they forgot the Sriracha onions! (Probably for the best – you guys know by now I’m a wimp for hot/spicy stuff.) Despite the ingredients & the “beastly” nickname, the burger itself was much lighter than I expected, meaning I didn’t feel heavy and grossly full afterward. 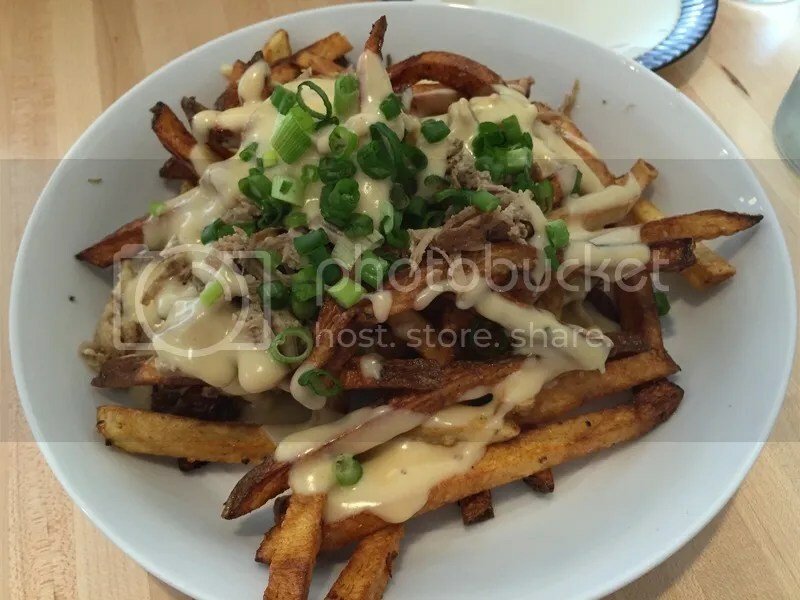 Which meant that I had room for their signature Blue Duck Fries: hand-cut fries that are tossed in duck fat, then topped with smoked gouda cheese sauce & shredded duck confit. Seriously. Don’t leave without getting these fries or you’ll be sad like the guy sitting next to me was! The Blue Duck is a bit off the beaten path from downtown Philadelphia, but definitely worth the trip. I can’t wait to come back and try their regular burger – and to crush some more duck fries! 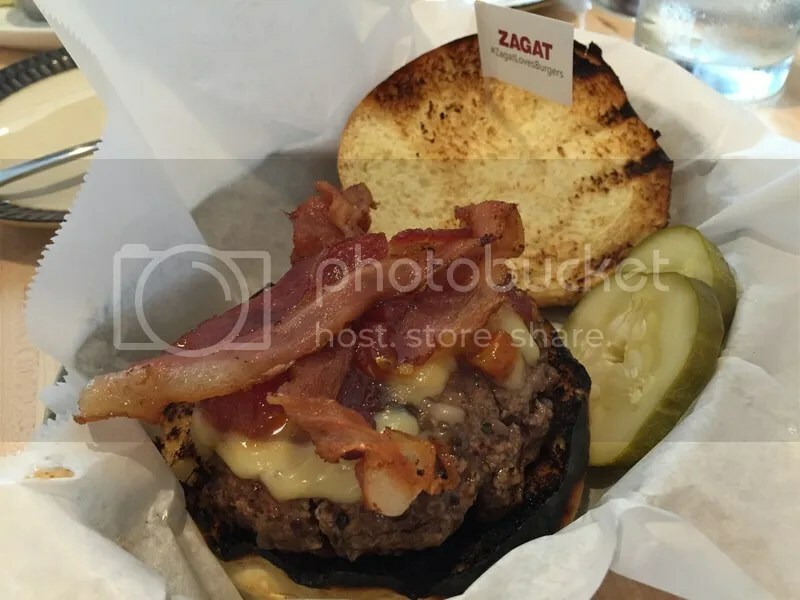 Posted in #ZagatLOVESBurgers, bacon, Beast of the Northeast, brioche, brioche bun, buns, burger, duck fries, Northeast Philly, pickle, pickles, sriracha, The Blue Duck, tomato jam, Wild Boar, Zagat, Zagat Loves Burgers. Bookmark the permalink.